One of the most technically skilled players ever to play the game of squash teams up with the young progressive Swedish squash brand Salming. 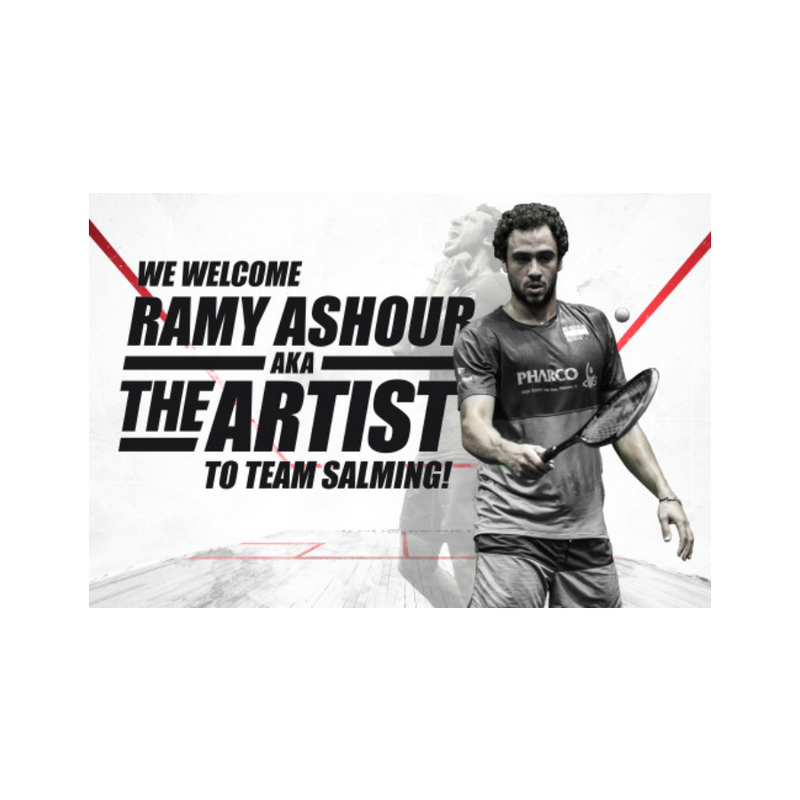 The collaboration will see Ramy wearing Salming shoes and apparel starting already this upcoming tournament in Al Ahram Egypt 17th September. VISIT US AT PURE RACKET SPORT and try SALMING SQUASH SHOES on for yourself… see the new KOBRA 2017 ! Compare the look, feel and fit with all the other major SQUASH FOOTWEAR BRANDS we carry.